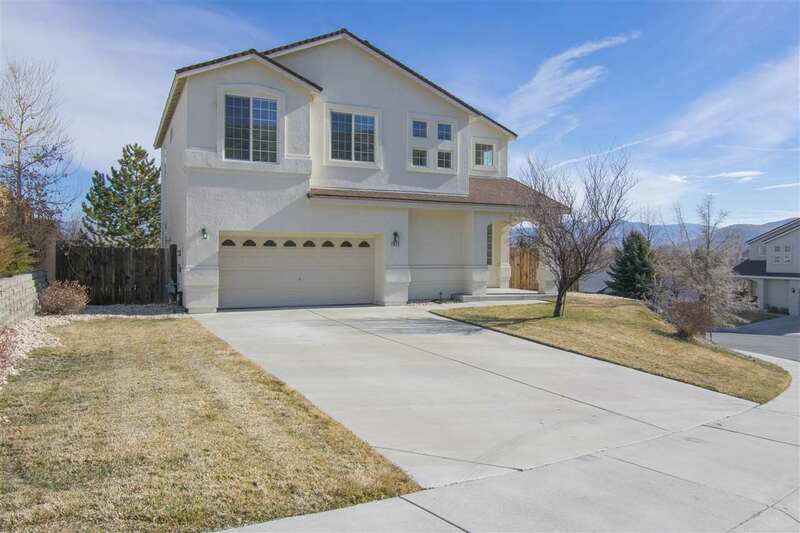 VERY MOTIVATED SELLERS-HOME PRICED TO SELL! This home sits elevated on a hill, which means nearly every room offers mountain views. Step inside and enjoy the bright and very open entry, living room and kitchen! The downstairs is excellently designed for entertaining with the 1/2 bathroom directly off of the kitchen, quick access to the backyard and island & breakfast nook. Upstairs includes 4 bedrooms (1 with beautiful hardwood flooring), 2 full bathrooms and plenty of sunshine through many windows!